With great horsepower, comes great responsibility. That’s the case of the new Ford GT. The Hypercar that debuted in the Detroit auto show in 2015 was an instant hit. 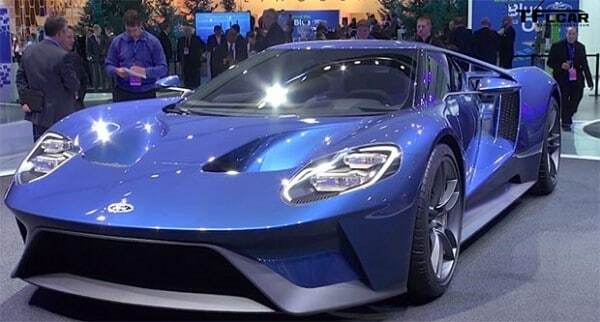 From being the sleekest babe in the auto show to having specs that made everyone’s jaws drop to the floor, the Ford GT hypercar has really got it all! With a twin-turbo charged EcoBoost V6 engine that promises more than 600 horsepower, to carbon ceramic brakes, the hypercar is the future. To visualize how it looks, think futuristic. It looks super and it rides super. Plenty of torque, no complicated electric-boost function and a beast of an engine, makes this car as ready to take off as a fighter jet. Ford has said that production of the Ford GT will begin from next year and not more than 250 of these beauties will be in production every year. The price is an arm and a leg; just kidding. Ford has priced it to be equal to or more than that of the Lamborghini Aventador. Costing around 250,000 pounds, the GT supercar is as expensive as one of the most popular cars in the world. We think it is time to start saving up, don’t you?